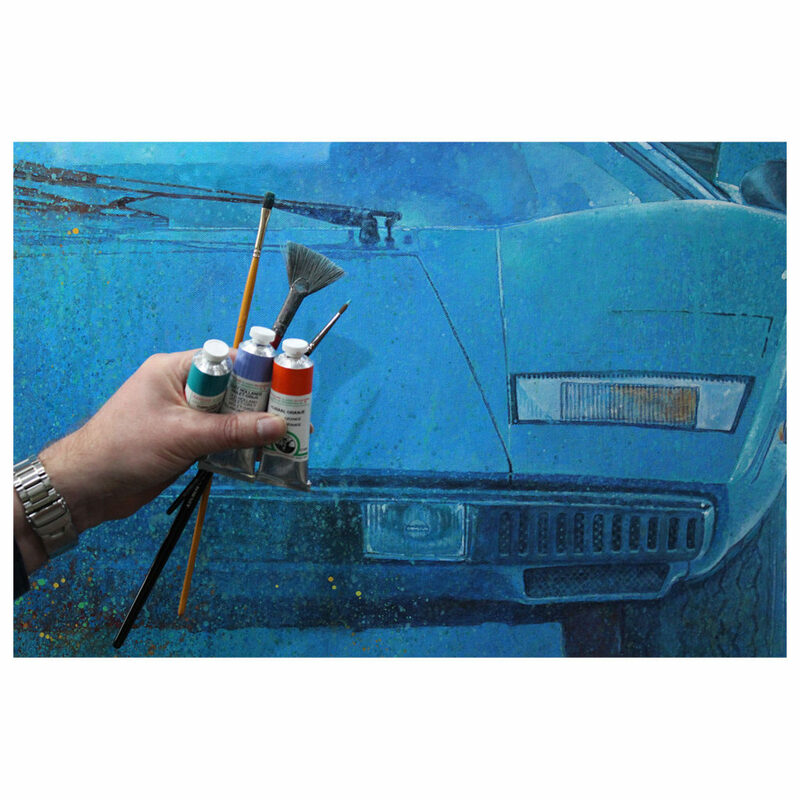 Historic Car Art will host two artists painting live at the next Bicester Heritage Sunday Scramble on 28th April. 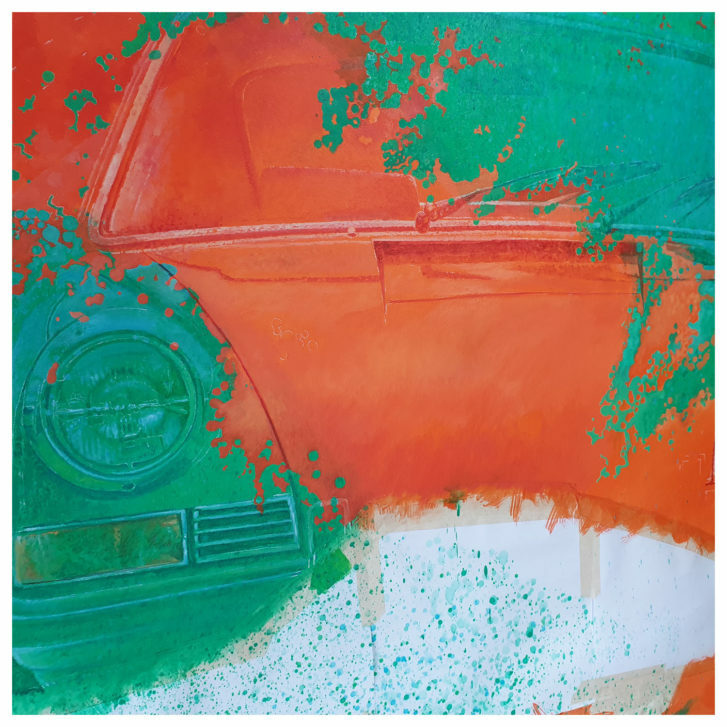 The gallery will be taking up residence in the Old Ammunition Store (Building 123 next to the offices) and showcasing artwork by latest two professional artists to join the Historic Car Art portfolio. Simon Britnell and Rev. Adam Gompertz a.k.a REVS Art #thescribblingvicar. 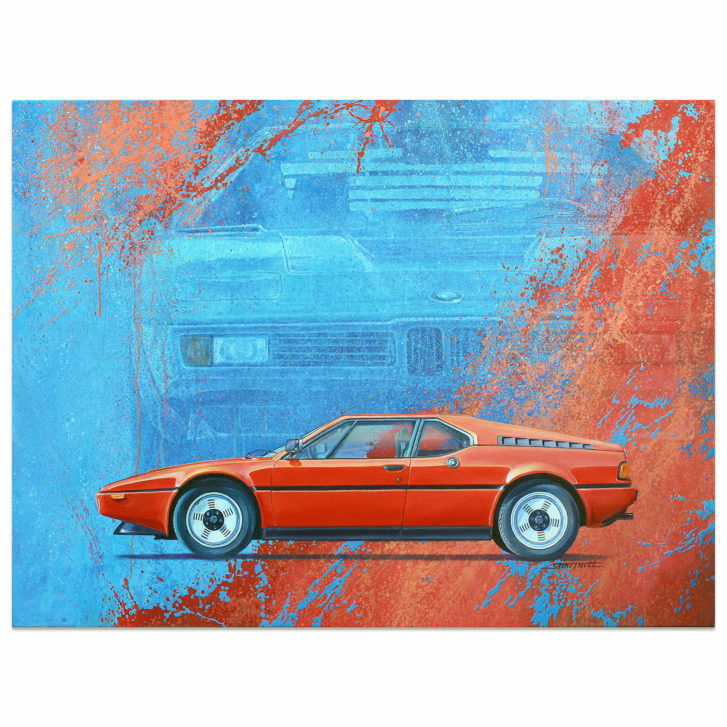 Simon Britnell will be showing 4 of his large scale original oil paintings from his iconic lines collection – 1979 BMW M1, 1976 Lamborghini Countach LP400, 1977 Ferrari 308GTB and 1972 Citroen DS. 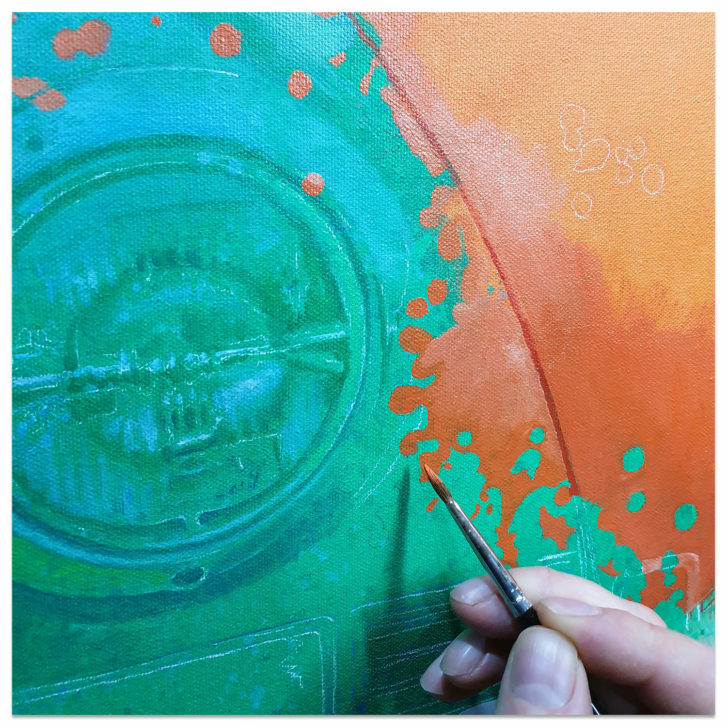 Alongside these completed artworks he will be adding the finishing touches to his latest piece – a 1972 Porsche 911S – live at the event! Here’s a sneak preview of the Porsche… Signed limited edition prints are sure to follow. REVS Art’s Adam Gompertz can often be seen at major motoring events such as Goodwood Revival sketching live at the side of a beautiful race car. Adam will be in and around Historic Car Art all day. His latest limited edition print of a lightweight E-type Jaguar will be available, as will other limited editions and some rarely seen original artworks. The latest two originals, an Aston Martin DBR1 and 4.5L Blower Bentley really have to be seen in the flesh to be appreciated – they are stunning. 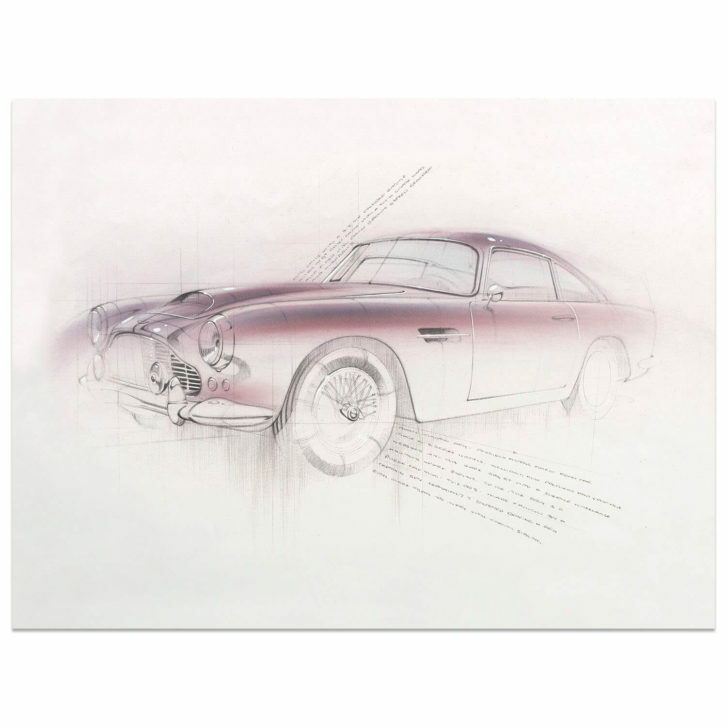 Adam’s draughtsmanship is truly incredible, no wonder he is currently Aston Martin’s official artist in residence! 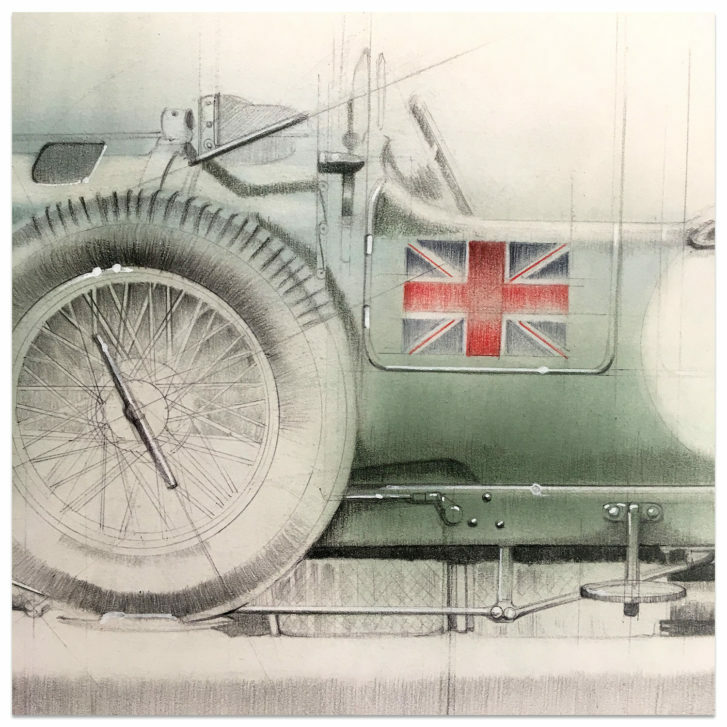 If you are visiting Bicester Heritage Sunday Scramble on 28th April, do come along to the old ammunitions store and view the artworks and meet the artists. It would be great to see you. Copyright 2016 Historic Car Art, All rights reserved.